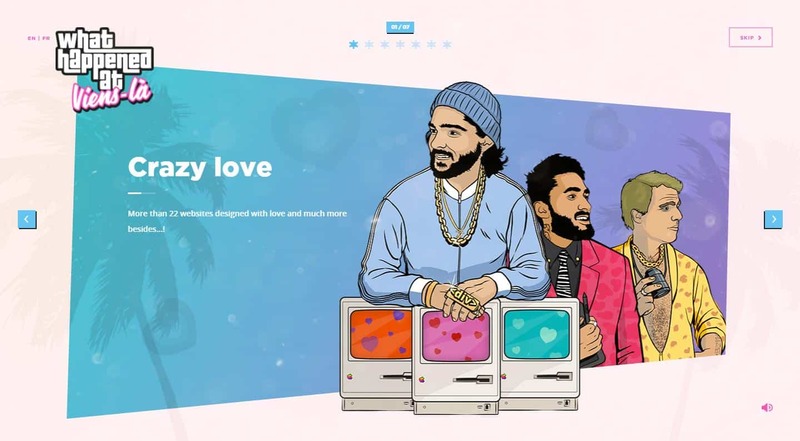 An overview of TOP 30 companies creating web designs is a logical continuation of the series of articles dedicated to UI/UX. In this article, you will see how the websites of great design studios look like. Creating them many members of this list used a great deal of creativity so some of the screenshots may seem quite unusual. When you develop your own style, it’s critical to find a balance between a classic and understandable to any user design and something new, fresh, and original. Don’t be afraid to experiment! Now, let’s end with an introductory word and go to the websites of various design studios. Handsome is a holistic design agency from Austin, Texas. The company provides a broad range of design-related services, from research to photo/video shooting and VR. This studio has worked with such well-known brands as Nickelodeon, Audi, FedEx, and other. 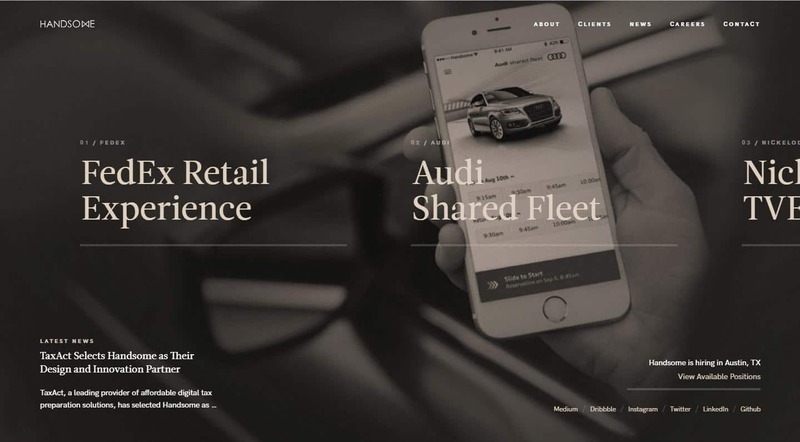 As to the design of their website, calm dark tones prevail. On the main page, a user will see a list of successful cases. Each of them has its special style. Images and animation are also very eye-catching. D.FY is a design studio with offices in Seoul and Tokyo. They mainly work with strategy development, marketing, production and complete many design-related tasks. The company provided various services for Samsung, AKI, POOQ, etc. 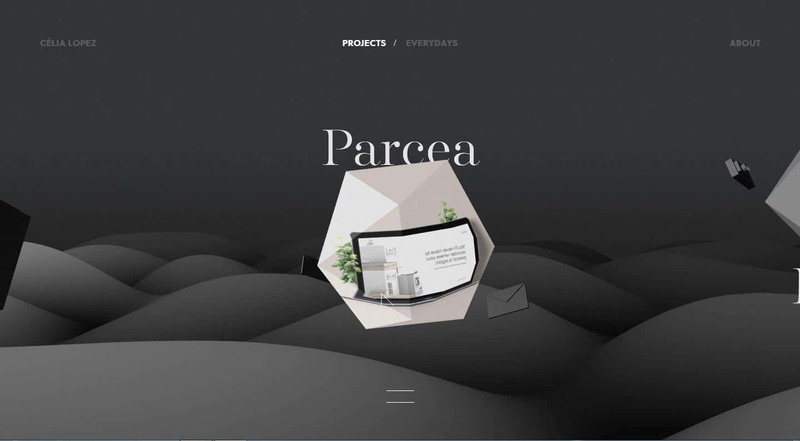 The design of their website has vivid transitions and animations. The main page is divided into several scrolls, each of which presents a certain project. The navigation between the pages and non-linear placement of content blocks are also very interesting. Users immediately see some links to the important pages. This is a creative agency from the city of Portland, Oregon (sorry for the play upon words). It provides such services as banding, marketing strategy development, UX, and other. This company has a special focus on ecological projects. In their portfolio, you will come across onXMaps (a cartographic project) and Bonsai Mirai (a project for the American school of bonsai art). 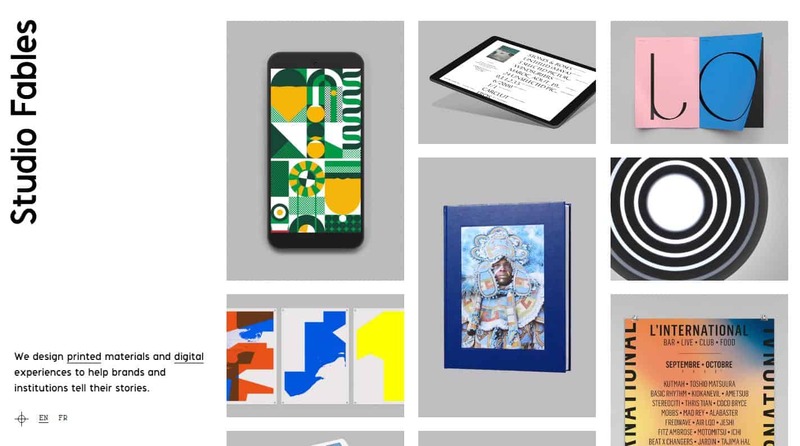 They have a pretty unusual website, both from a technical and stylistic perspective. The images and videos on the pages look very realistic, rich, and detailed. A peculiar website structure is also of interest. Additionally, we want to draw your attention to the selection of fonts and colors that complement each other really well. Thanks to the bright color palette, the image and text look distinct without an unpleasant contrast. 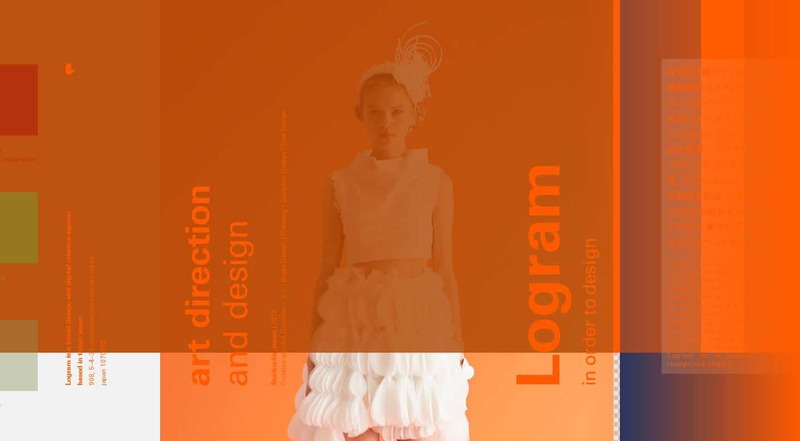 Logram / in order to design is a branding agency located in Tokyo, Japan. This studio specializes in branding, web design, and creative solutions. Among their clients, there are Starbucks, mercibeaucoup, and NewYorker. The design of their website is really unique. It has many content blocks located in different directions, various font sizes, and Japanese characters used just next to English. The selection of colors is also very strange – the constant alternation of dim and acid shades is a bit confusing. Pay special attention to the website navigation. The placement of links, text, images, and other elements that take you to the rest of the pages is unusual. On the one hand, this demonstrates the creativity of the team but on the other, prevents visitors from using the website intuitively. 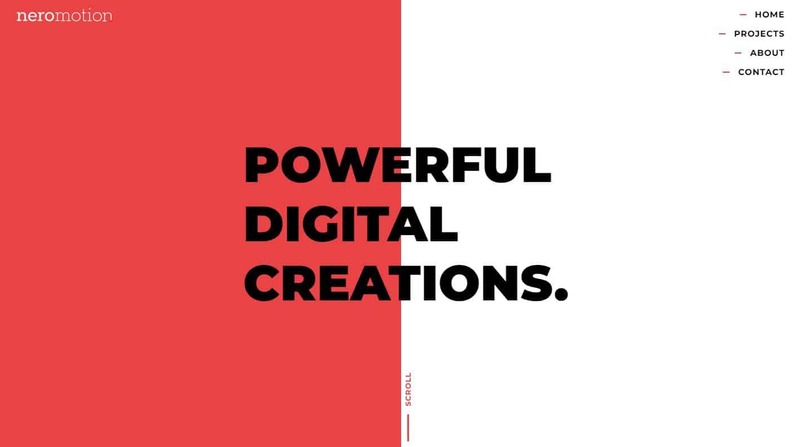 This Austrian agency codes and designs. In their portfolio, they have a bunch of projects associated mainly with design, content (including video), and development. The website of 101 studio is very unusual and has numerous interactive elements. On the majority of pages, you will be asked to click, scroll or do some other actions to view something. Thanks to this solution, a great part of the content dynamically changes. There is also an interesting hook. If you don’t interact with the page for some time, it blacks out. To continue working, you will have to erase the black color with your mouse. Grafik is a small stylish studio from Wellington, New Zealand. They mainly specialize in unconventional web design solutions that have won them numerous awards. Among their successful projects, it’s worth listing Public Library, Patchwork, and Miles Calder. 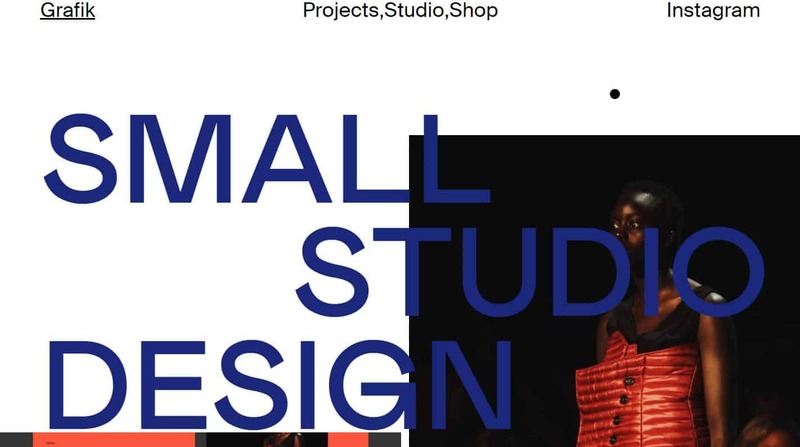 The website of the studio is notable for its bright and peculiar design. A large font size, rich colors, and an unusual placement of content blocks are Grafik’s specialties. We should also note the unique navigation on this site. Avex is a New York agency that creates amazing web designs, provides digital marketing services and e-commerce solutions. 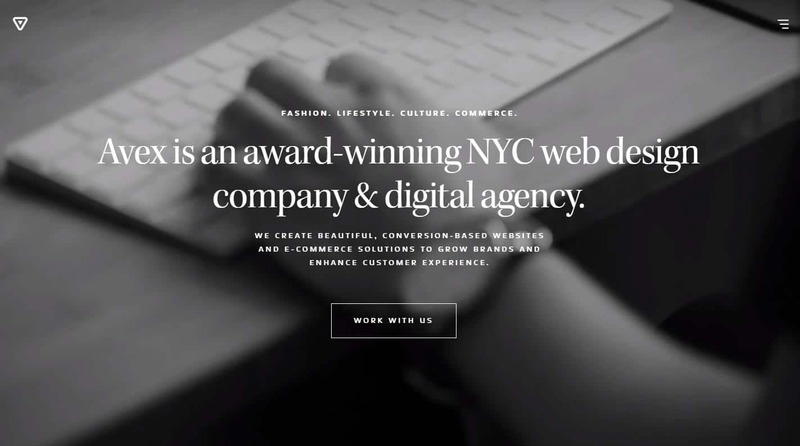 This studio has made websites for Cantor Fitzgerald, KITH, and other. In the design of their website, they stick to a classic style. The combination of black and white, large, high-quality images prevail here. The UX of the website is well-thought-out and intuitive. This position in our list is quite different from most design agencies. 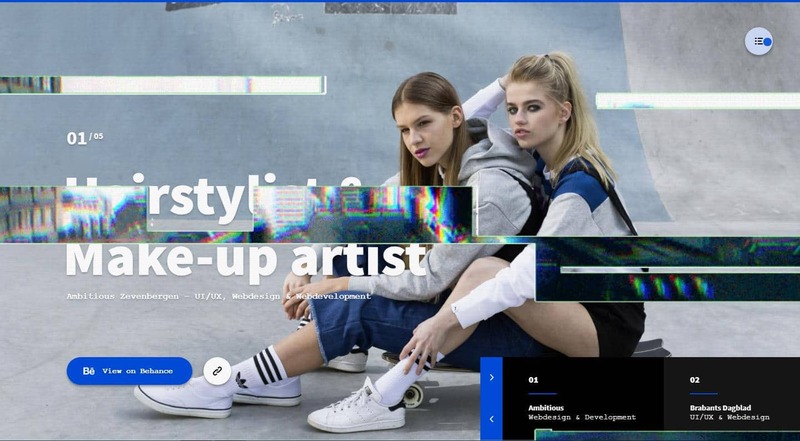 Ekaterina Asparouhova is a designer working with various interesting projects, including brands, books, websites, etc. Her portfolio can boast of PLAAY Sports, goodwin idea, the murder that never was, and so on. Her website design has a simple and intuitive style. The light font is easy-to-read on the black background. The page with her projects has large high-quality images and the logical placement of blocks. Makers & Allies is an award-winning branding and design studio with an office in San Luis Obispo, California. This agency has a peculiar feature. It only works with alcoholic beverages companies. Makers & Allies specializes in branding, packaging design, digital, etc. The company can be proud of its numerous projects, including Essentially Geared, Mahana Estates, The Fableist, Michael David Winery, etc. 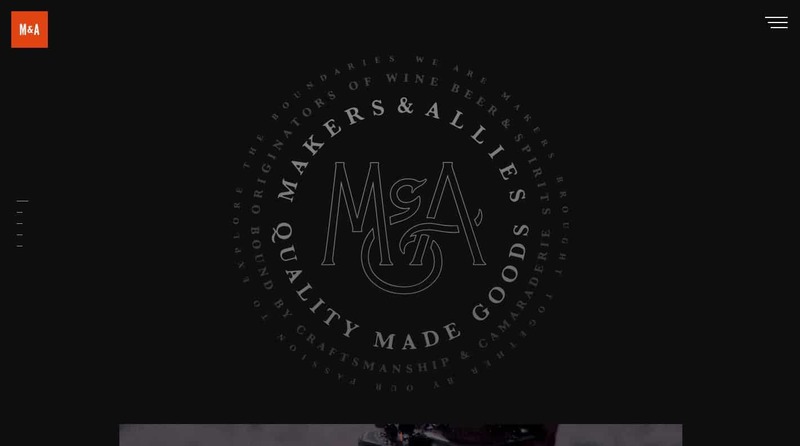 The website of Makers & Allies has an appealing and stylish design. The main page is done in a typical for scrolling websites style. The well-thought-out navigation, large thematic images and videos, and detailed cases feel really good. Mad is a German design agency with the main office in Berlin. The company exists for over 10 years and largely provides analytics, UX, design, prototyping, and branding services. The agency worked with such brands as Circula, Holvi, Daily Deal, and other. Their website design has light shades and a standard for scrolling websites structure. The cases are presented in an easy-to-use and clear format. The graphic images complement the overall style really well. 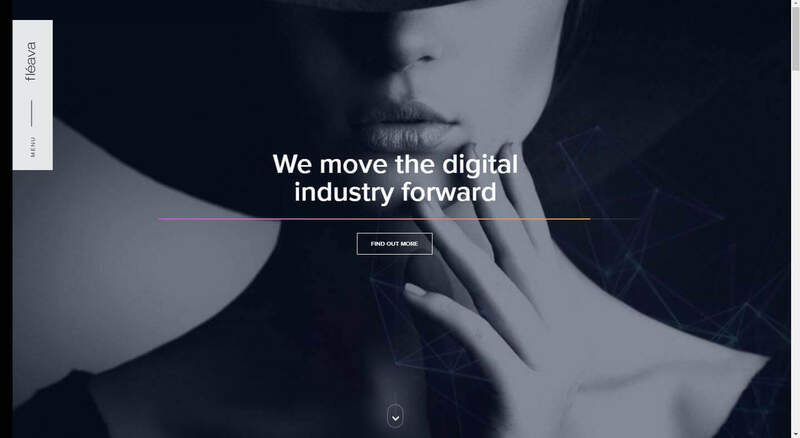 Nero Motion is an Auckland (New Zealand) digital agency. This company develops and designs websites, creates banners, UX, and marketing strategies. Their portfolio demonstrates cooperation with such customers, as ORIGIN, Citroën New Zealand, Him it, and other. The well-matched contrasts help to highlight the text blocks across the whole website. The background on the page of a case very often corresponds to the color of a certain brand. The resource has high-quality images and graphics. It’s intuitive and user-friendly. 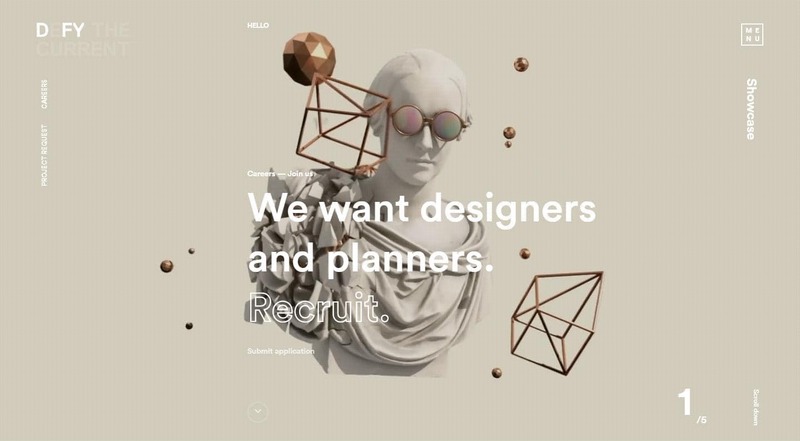 This position in our TOP is unique since Célia LOPEZ is a website created by a junior designer specializing in 3D and interactive. The designer herself works in Viens-là studio, which, by the way, we have also included in this overview. After her day at the design studio, this junior spends her leisure working under own brand. She mainly deals with 3D and 2D designs, UX, and concept development. As to the completed projects, she can boast of Parcea, Orange, Fuse, and other. The original website of Célia LOPEZ deserves special attention. Its main page includes different geometric figures displaying project images when you hover over. Each of these figures links to the page of a certain case. The very projects have really great descriptions. Large images, transitions, animations, and properly presented information help to tell users about every case. Viens-là is a digital agency founded in 2011 in Paris. The studio offers full cycle development, from creating an idea and basic concept to the maintenance of the finished product. In addition to numerous awards, this company is also notable for its team. A part of its employees have their own projects and design studios. The studio completed such projects as FIAWEC, ING, Frateli, and many others. The design of the site of this web studio deserves your special attention. The first thing users see once the resource uploads is a GTA Vice City inspired preloader and slider. After clicking the Skip button, they are taken to the main page. 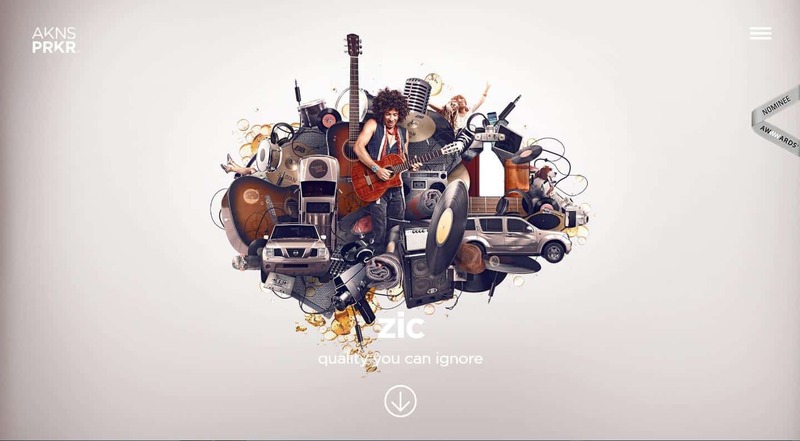 There are many animated elements in the design, a great number of stylized transitions, and appealing images. Everything is as logical and intuitive as possible. 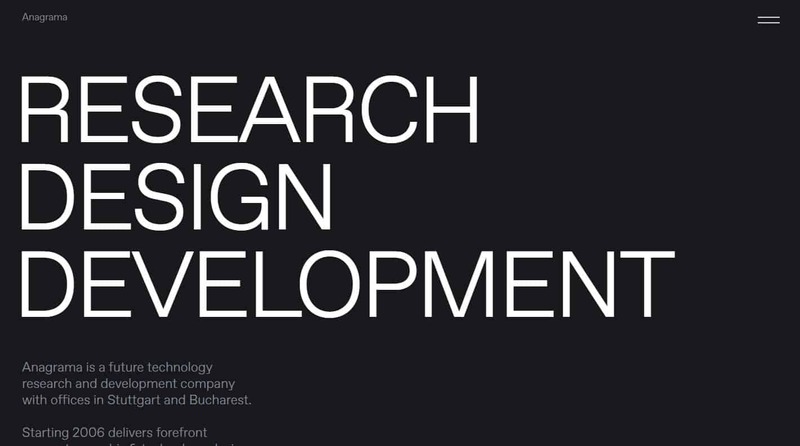 KRIKDESIGN is a Moscow design agency established in 2005. The team mainly works with branding, decor, photo/video materials and develops websites and apps. They were lucky to work with such customers as IKEA. Creating their own design, they decided to opt for minimalism. The content blocks stand out against the calm grey background really well. Most of these elements have appearance/disappearance animation. The cases of this company are also worth taking a look at. Each of them has its unique style. The Canadian designer Cary Da Costa resides in the Netherlands and runs a design agency under his name. He largely works with brand design, UI/UX, packaging and printed product design etc. He has worked for such famous brands as Uber, Philips, The Walt Disney Company, and many others. 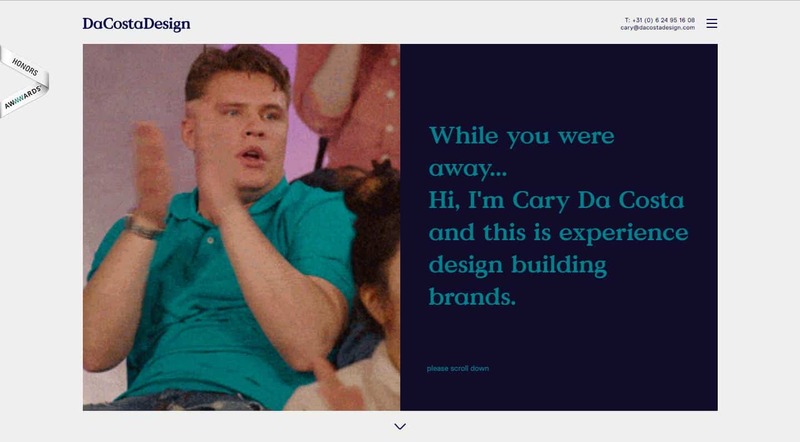 For his original website, Cary has chosen a popular scrolling style but showed a lot of creativity. So when you scroll the main page, a part of the content moves up and another one – down. In their portfolio, every project is presented with a bunch of high-quality images and graphics. The design agency Geex Arts is located in Moscow and is well-known for its projects and numerous awards. The company provides web development, promotion, and analytics services and also creates mobile apps, smart systems, and product design. They can boast of working on such projects as USA Today, Stavki, Sports Analytics, See More, and other. The website of the studio perfectly showcases the development and design skills of their team. When a user decides to visit the website, they see an animated download screen and an icon recommending to put on headphones. Most of the actions on the website have accompanying sound and there is also background music which you can always turn off. The resource is created in a cosmic style with many transitions, animations, and interactive elements. An unusual placement of content blocks is another special feature. Anagrama is a design company from the city of Bucharest (Romania) founded in 2006. The studio offers development, design, strategy planning, and research services. It worked on a range of projects, including moovel Group, BitLocation, and Bancpost. The site of the company has a minimalist style. The core color palette consists of dark colors which perfectly contrast with text blocks. An interesting feature of this resource is that it almost doesn’t have photos. Instead, they use vector graphics. 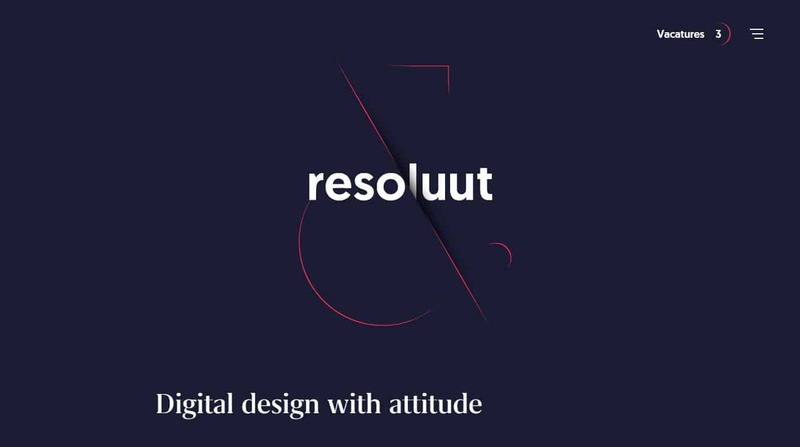 Resoluut design agency from Amsterdam (the Netherlands) specializes in digital product development, branding, and agile design. Among the key projects of this studio, we can mention Adformatie, Huishoudbeurs, and CheapTickets.nl. Their website is another example of minimalism. A characteristic feature of their corporate style is a unique placement of content blocks and vector graphics. Studio Fables is an independent graphic and digital studio with an office in Paris. The company is well-renowned for its various awards and creative approach to projects. The main types of services provided by this agency include art direction, motion design, UI/UX, web development. They have worked for Arte, BNP Paribas, Evian, Sosh, and other famous brands. 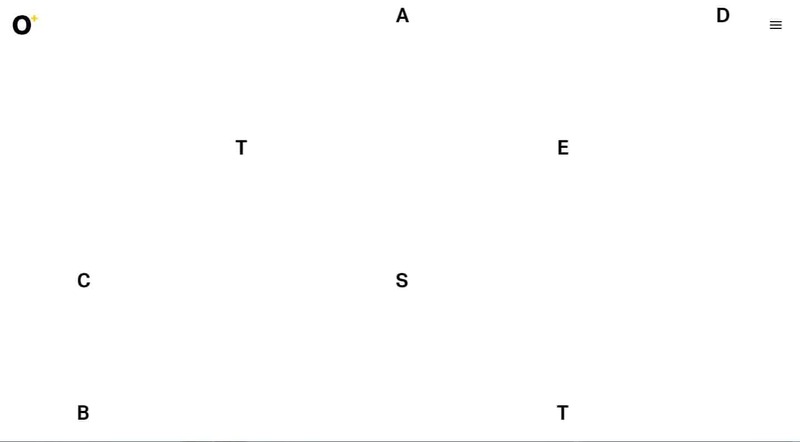 Again, Studio Fables has chosen a minimalist approach to their website design. A peculiarity of this resource is the absence of menu which significantly influences its UX. In addition, it has many animations both on the main page and in some cases in the portfolio. 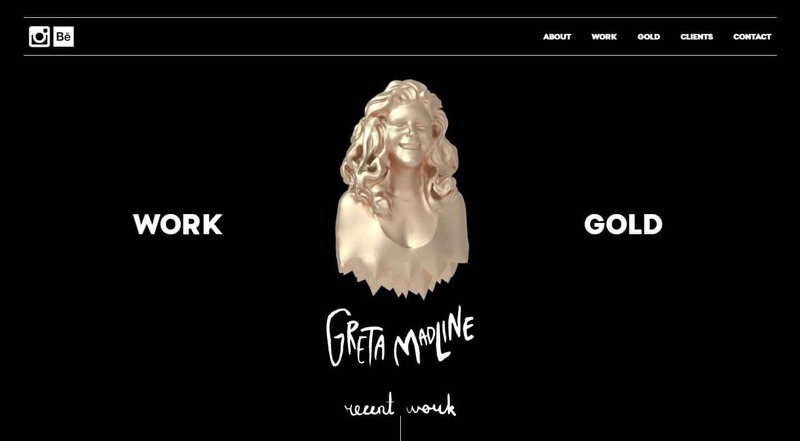 Greta Madline is an art director and graphic designer working under her own name as an independent studio. Usually, she provides web design, branding, and social media services. 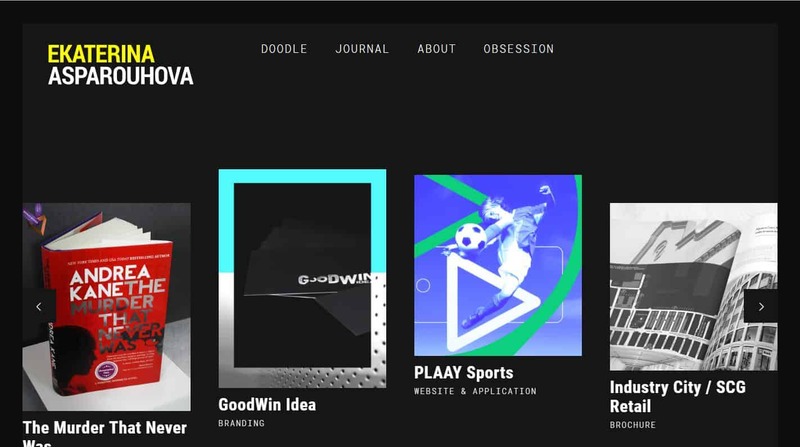 Her portfolio showcases a series of exciting projects including DUKE OF TOKYO, TWITTER BOOK, EJNA, etc. The first thing that a user sees on the site is a 3D female bust rotating with a mouse and changing its facial expression and color. In addition to this interesting hook, you should also draw attention to a preloader, animation, and fonts. The site keeps a great balance between the black background and the colorful content. AkinsParker is a design company with two offices: La Crosse, Virginia and Santa Ana, California. They deal with UI/UX, media planning, strategy development, and other digital tasks. As to the completed projects, it’s worth mentioning Make, Zic, and Ojai. Their website design has a lot of graphics and transitions. In the section with the case studies, you will see well-placed content blocks and lots of videos. 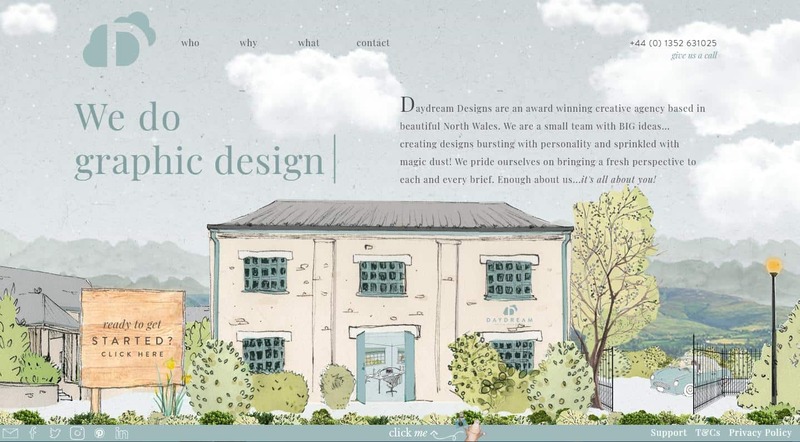 Daydream Designs is a creative full-service agency from Greenfield (Great Britain). The studio runs branding, marketing, illustration, and web design projects. This company had a chance to work with such brands as Dangerpoint, Tweedmill, and Hollingsworth Group. 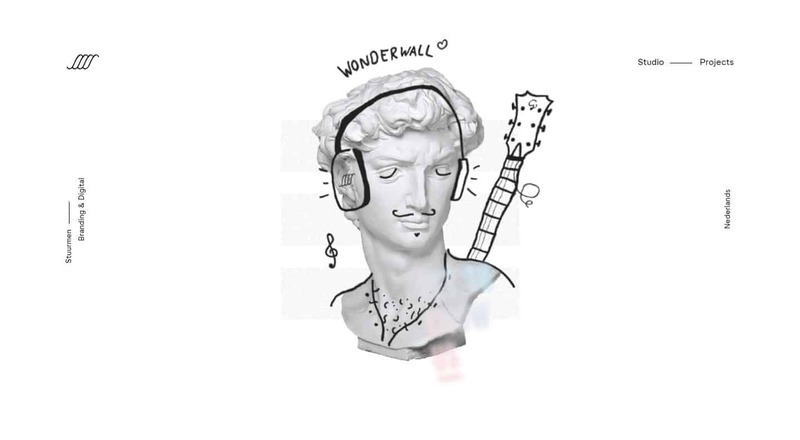 Their website has an appealing cartoon style. In addition, you should note lots of graphics, well-matched fonts, and thought-out animations. IamFrank.eu is another designer working under his name as an independent design studio. The guy provides branding, graphic, and interactive design services. His portfolio includes such projects as Ambitious, BRABANTS DAGBLAD, and Campus. This designer got into our TOP since he can easily compete with leading design agencies on equal footing. For a preloader, the resource uses a test card. There is another unusual solution on the website. It has glitches accompanied by the characteristic sound of radio noises. Numerous high-quality images also create a nice impression. Stuurmen is a creative agency from Eindhoven (the Netherlands) with the interesting slogan “kill off the average”. The company works with branding, UI/UX, application design, and front-end development. The studio cooperated with Bagels & Beans, Bitterzoet, De Beer Verf, 7Lab, and other. The main page of the website has an animated image of an ancient sculpture. When you hover over it, different additional elements appear. A non-linear placement of content blocks and a bunch of high-quality images complement the overall style really well. Octoplus Group is a creative agency with offices in Lugano and Zurich. The company focuses on such areas as branding, strategy development, advertising, digital, etc. They worked with Confederazione Svizzera, Cardiocentro, Migros, Diamond, and other companies. The main page of this company looks quite unusual. Users see letters scattered across the whole screen. When you hover over any of them, it becomes clear that this is the first letter of the name of the project, and the white background changes to the corresponding thematic image. After that, you are taken to the project page. 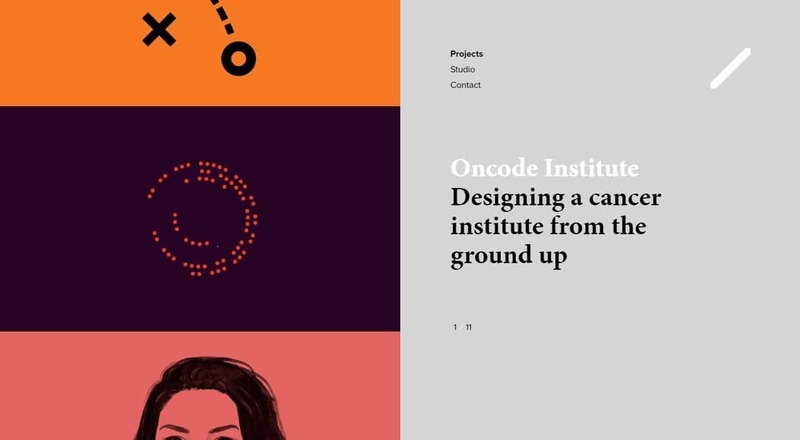 All projects are presented in an appealing scrolling style with rich graphics. 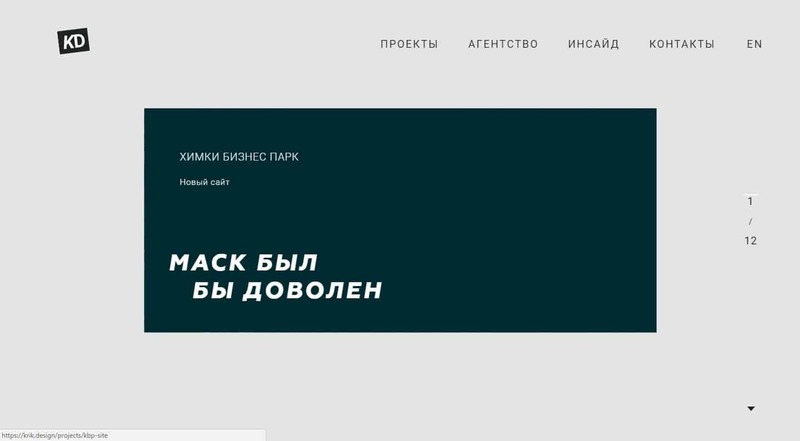 TheMads is a digital agency with offices in Moscow and Kaliningrad. They largely specialize in creative and design solutions, web development, branding, and mobile app development. Currently, the company has four successful projects, namely Film Festival, RostKran, TastyCoffe, Snack-Snack. The website of the agency is mainly made in light colors and has an interesting structure. Also, they use many photos and graphical elements. The well-thought-out navigation between the pages is an additional advantage. Momkai is an international design company with offices in Amsterdam (the Netherlands) and New York (the USA). They offer services related to UI/UX, print design, branding, and more. They worked on a set of outstanding projects, including Oncode Institute, De Correspondent, Master Digital Design. The website of this agency has an interesting structure. Instead of a standard main page, a user straight away goes to the page with the listed projects. Every case has its own style with lots of high-quality graphic materials. Fleava is a design studio founded in 2010 and located in Bali (Indonesia). The company largely provides UI/UX, strategy development, branding, and digital production services. They worked on such projects as Sugarsand, Kopernik, Manisan, and Relationshift. The original website of the agency has mainly light colors, creatively placed blocks, and many high-quality vivid images. The use of gradients and a nice presentation of previous projects deserve your special attention. 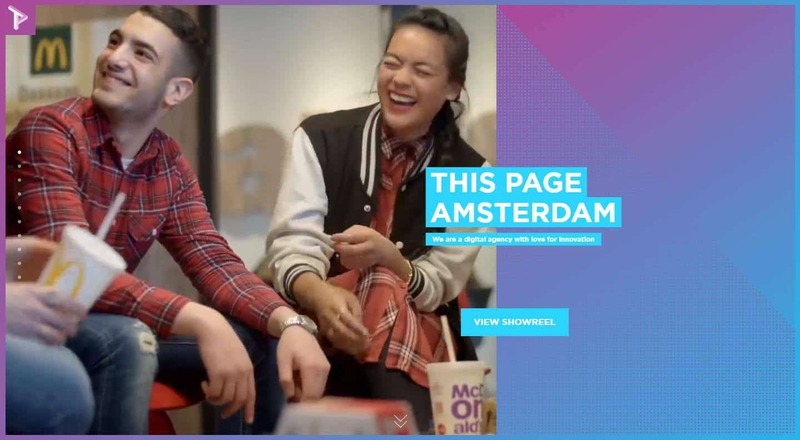 This Page Amsterdam is a digital agency located almost in the downtown of Amsterdam. The services they offer can be divided into the following categories: strategy development and content, R&D and Prototyping, In-House Design, Project management. They did really nice and successful projects for ABN AMRO, T-Mobile GIF IT ALL, MAURITSHUIS THE GOLDFINCH, etc. For their own website, they have chosen a scrolling style with a gradient background. A hallmark of their design is a large volume of multimedia content. 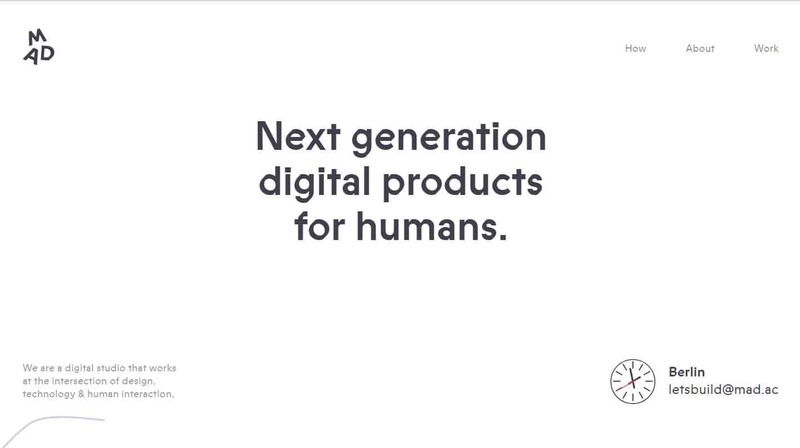 They also use appealing fonts and animations. 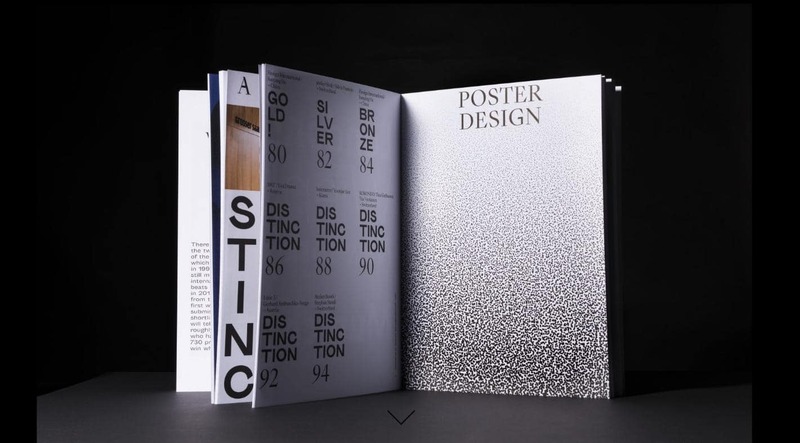 Ronin161 is a design studio based in Montreuil (France). They call themselves a digital gang. Their team deals with Front-end/Back-end development, motion and digital design, and 3D modeling. They have been trusted by such brands as BETC, La Chose, Universal, Wagram, and other. Their page has a very distinctive style with many 3D objects. Once a user opens the main page, they see a model of a boy periodically changing its look. In addition, there are several labels each of which corresponds to a certain project. The cases are also done is a corporate style of the company. The 3D elements on the background with an unusual color scheme demonstrate creative skills of the team really well. The design can be perfectly described with a phrase “A picture is worth a thousand words”. So take a look! 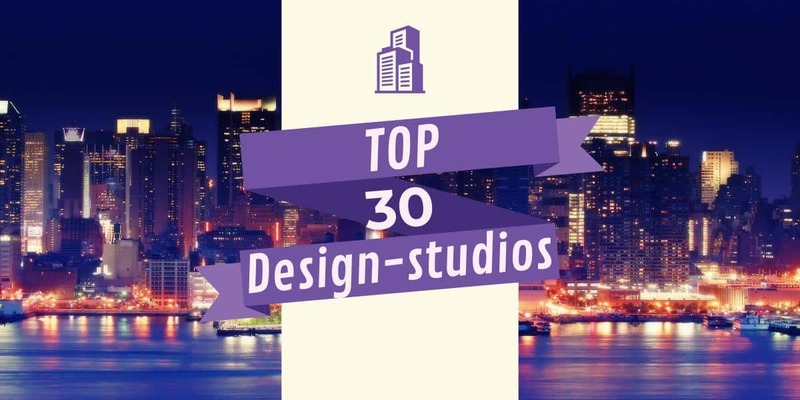 This is the end of the overview of the websites of TOP 30 design studios. Obviously, design agencies have very different approaches to website creation. Some of them try to adhere to a classic style while the other chose a certain theme. There is also a part of the agencies that are not afraid of risking and creating something very unusual. We hope you have enjoyed reading this article and it has been useful. 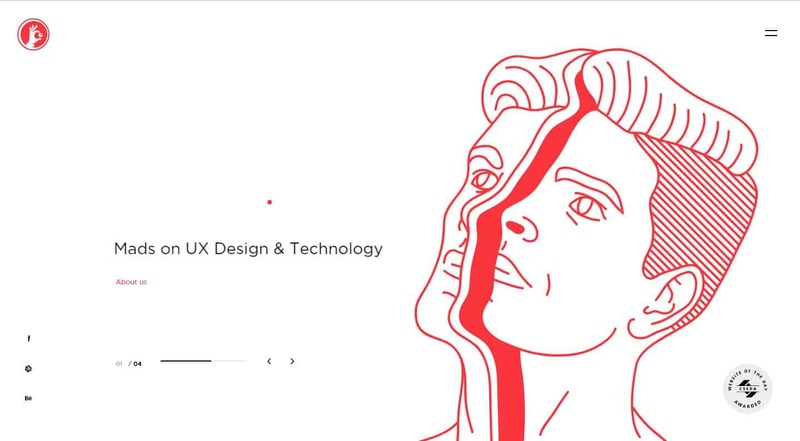 If you want to learn more about UI/UX, read our blog and subscribe to the email newsletter.